Rain is no stranger to the Pacific Northwest. And neither is murder. Reporter Kate Craig is haunted by her past. A dead boyfriend and a sister on the run from the law for a crime she didn't commit. Each night she tries to numb away the pain, only to wake the next morning in a world where suffering and death are once again in full bloom. Her job is the only part of Kate's life that isn't dead in the water. But that may be about to change. Detective Clay Moore is on the trail of a coldblooded murderer. Although the killer's motives are a mystery, his methods are as clear as the rain that keeps falling. But the closer Moore gets, the more distracted he grows. He just can't stop thinking about a certain reporter. It's something he didn't see coming. And that's a problem. Because in Portland, what you don't know can do more than hurt you. It can get you killed. 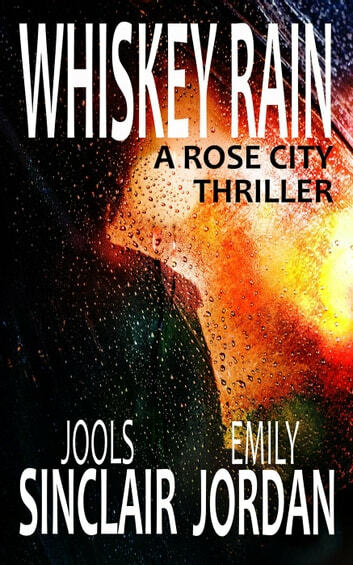 A heart-pounding, edgy thrill ride through the slick streets of the Rose City, Whiskey Rain launches a new romantic suspense series from Jools Sinclair and Emily Jordan. 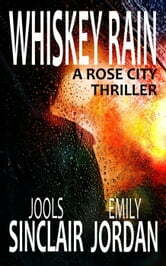 The second book in the Rose City Thriller series, Wrong as Rain, is now available. A good read. Excellent characters. Nice chapter headings, but missing a proper table of contents, and also missing proper chapter page breaks.